by Christopher James Kellam Scott, then age 3, with his mom Barbara Kellam-Scott. 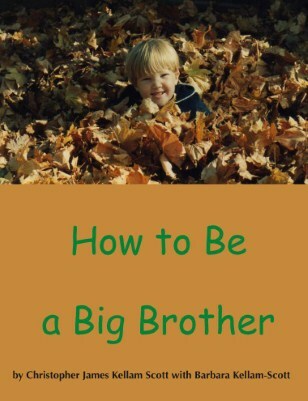 Using a real big brother's own words and pictures of his family at about that time, it shares some ideas for easing the transition from being the only child. Customized editions are available from bkswrites.com.